I have experienced many firsts within the New Tech Network. I started my first year of teaching. I was part of a school opening. I moved and begin my administration career. And now, I will be transitioning into my first principalship. Being a part of this network has taught me many things. I find it most evident though, that having a start-up mindset is a must to be able to move from good to great. If you have not ever read Jim Collin’s Good to Great, I highly recommend it. In the book, Collin’s argues good-to-great transformations look dramatic and revolutionary on the outside but actually are organic, cumulative processes on the inside. There is no single defining action, no grand program, no one lucky break or miracle moment. Sustainable transformations follow a predictable pattern of buildup and breakthrough. Imagination can be a dangerous thing. Many times it can make us forget about what is actually happening in the moment. However, imagination is key to unlock the door to what is possible. New schools are bound by the chains of the unknown. Existing schools are bound by the chains of history and tradition. Both schools must be able to break free from these chains and imagine new possibilities. Two examples. 6 years ago, when we were opening our school at New Tech Academy, we had to think outside of the traditional schedule structure in order to provide time for reflection and cultural growth. We were not bound by the unknown. At New Tech High School, with a rich tradition, we are rethinking our portfolio experience. Instead of being bound by history, we are using it to learn and grow to advance our portfolio into a brand new experience for students to reflect on their time at NTHS. Imagination is key to both in being able to appreciate the now, but not be confined by what you have in front of you. The second factor is something that we expect of our students: to be constant life-long learners. 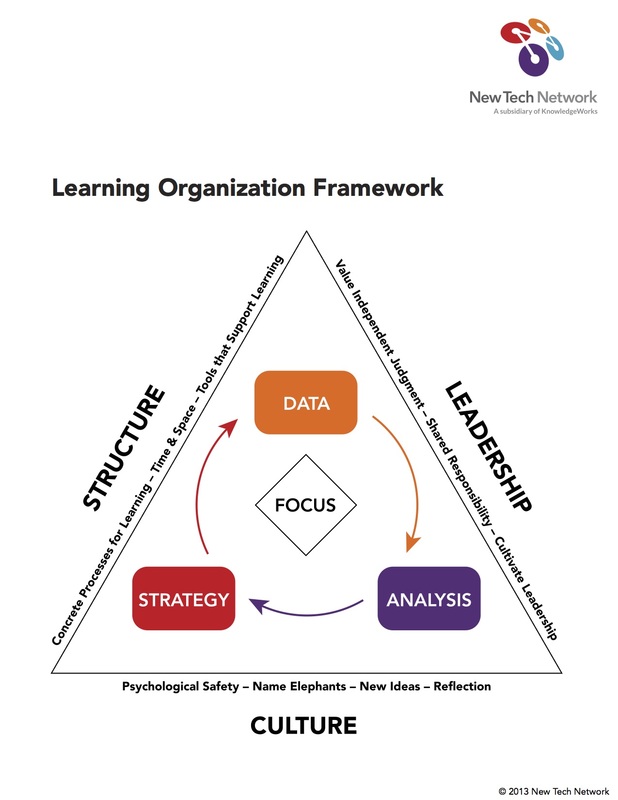 Many times though, both new and existing schools struggle to be learning organizations. New schools many times have a blank canvas. They focus on the dramatic and revolutionary and don’t spend as much time on the organic holistic growth. Existing schools face a similar struggle but from an opposite lens. The day-to-day grind tends to bog down these schools from spending the time and energy on moving forward as learners. It is imperative for the staff’s of both types of schools to trust the learning process. By being learners, we put aside our opinions and perceptions, and allow the learning organization core to develop a keen focus for moving forward. Along with this, there must be a sense of connectedness be created. Now, I know it is nearly impossible to live in an environment in which all adult learners agree. However, for both new and existing schools must establish an platform for discourse and brainstorm to turn into action. Consensus does not mean that everyone must agree, but being a learning organization means that everyone must commit to moving the core forward together. Lastly, new and existing schools must be willing to learn from each other. New schools make their decisions based on lessons learned. Existing schools can use new schools as a model for transformation. Here in Napa, the comprehensive high schools (Napa and Vintage, along with American Canyon opening as a NTN school 5 years ago) are transitioning to the New Tech model next year. Essentially, they will be redefining themselves as “new” schools. With New Tech High being the flagship school of the New Tech Network (opening in 1996), it is exciting to see this transformation happen around us. As a community, the possibilities are endless for our students. However, it will be vital for us to all learn from one another to truly open the door to the future. We must all have this first year start-up mindset. As tough as this might be for some to swallow and get over, we can learn from their fresh perspective and they can learn from the foundation we have developed. Fear is such a powerful thing. It can stop any person or school in its tracks. Fear of failure, fear of results, fear of the unknown. I don’t know how many times I have seen fear cripple an idea before it could even be tested. For both new and existing schools to develop this start-up mindset, they must trust fear and not create a fear of fear. 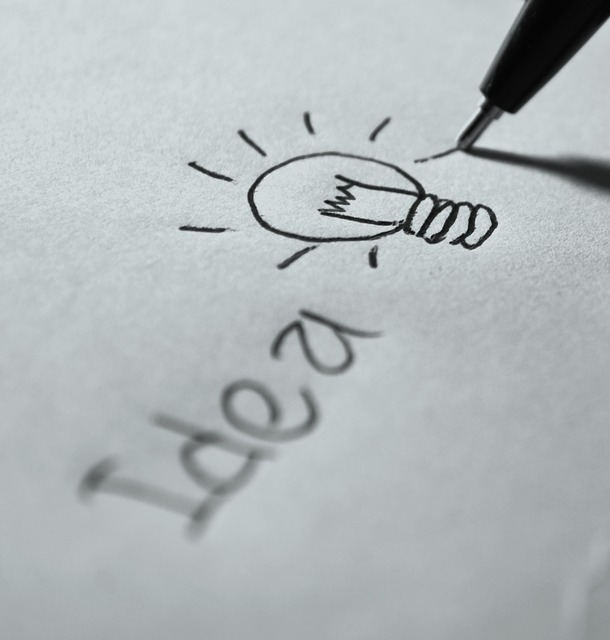 Not all ideas or initiatives will work. But schools must trust that this is okay. A fear of fear creates doubt. It can cause educators to take the easy road. It can cause schools to do what they know will work. Both of these can stop a school from moving forward as a learning organization and thinking like it’s their first year. Successes and failures inform our future. Good and negative data allows us to transform learning cultures. I have seen this a lot with the College Readiness Assessment implementation in New Tech schools (CRA). Both new and existing schools have implemented a new way to measure critical thinking and written communication. This is scary. However, to deepen the level at which we prepare our students for what is next, we must be willing to try, to growth. If we let fear get in the way, it can skew the information we get from initiatives like the CRA. It might be good, it might be bad. But without taking the chance, schools will never know. Imagination, constant connected learning, and avoiding fear of fear will allow both new and existing schools to pave the road for their own growth into the future. New schools and existing schools experience many of the same pitfalls, just from different lenses. Embracing the challenge in front of you with an open-mind and an ardor for the possibilities, will allow us all to imagine and re-imagine what education can and will look like for our students, in schools of any age.